Quality packing material and advanced machines are responsible for the safe packaging of the orders from our end. Moreover, our experts keep a strict vigil on the entire procedure. Ours is a reckoned name in the domain as we are capable of bringing forth quality products, fabricated using the experts approved raw material. We only make use of certified raw material to maintain high standards. 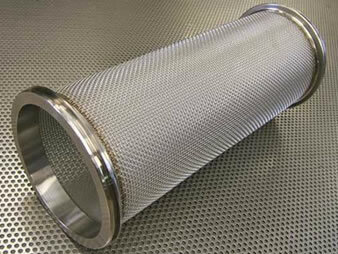 Our anti-corrosive filter wire mesh is available in various thicknesses ranging from 0.6mm to 1.8mm.